And another promotion~ Buy 5 get 1 free! Limited stock. Endorsed by the famous G-dragon from Big Bang and nation little sister, IU. 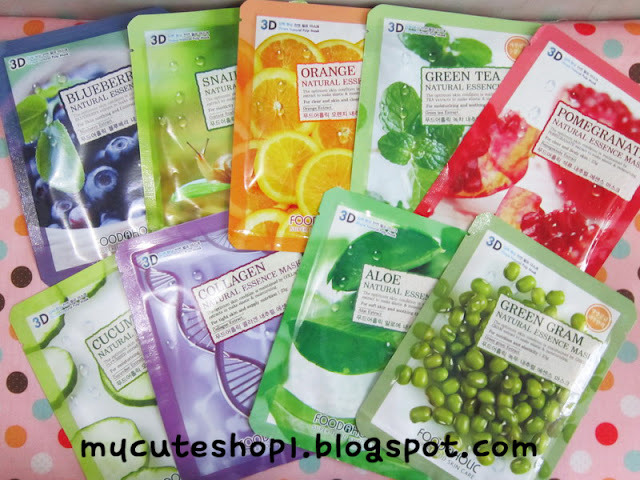 The Saem products are no doubt a must-have-items for now. Looking for something different? Try this magic jelly tint from Peripera. The apple stick has green color and maybe looks scary for you but after you apply it on your lips, you will see the magic~ the color will be change to beautiful pink color. Y.E.T stands for Yes! enjoy time~ cute brand, isn't it? Another cute product from Korea. It's still quite rare to have this brand here, in Indonesia. Well, we have these products in limited stock~ grab it fast! Girls wanna be sweet? Play Etude! Super affordable price with cute packaging and beautiful color! The same line with the famous holika holika jewel light eyeliner, so the staying power and the pigmentation are really great and really worth to try. One of best seller from Missha. If you looking for a cheap mascara with good effect, you shouldn't missed this deal! Shading powder and Bronzing powder in 1 packaging! Cheap price and definetely the best quality!